Good evening. 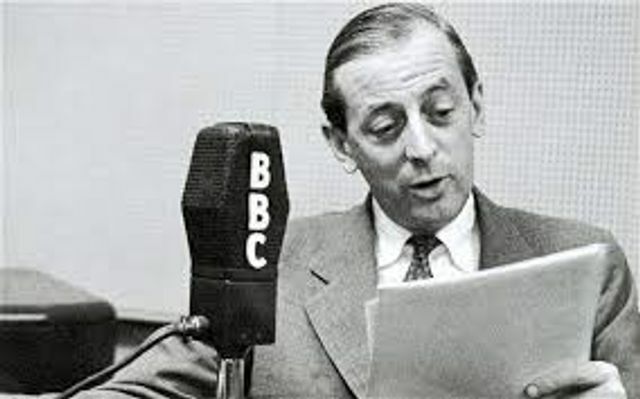 This letter, or blog post, comes to you from the United States of America on the day after the midterm election results and is a humble tribute to the musings of the late, great Alistair Cooke. The Democrats are claiming victory having taken back the House of Representatives. The Republicans, and especially President Donald J. Trump, are claiming victory for having increased their number of seats in the Senate. The rest of us are just relieved it’s over. Meanwhile, the news cycle has already moved on to President Trump's decision to fire Attorney General Jeff Sessions. One unusual feature of these midterm elections, otherwise characterised by the customary mud slinging typical of elections worldwide, was the decision of the different broadcast networks to refuse airtime for one particular election advert that was widely condemned for being racist in its portrayal of the migrants making their way to the US from South America. What surprised many people was that even the Fox network, infamous for its stalwart support of President Trump, decided not to show it. If it’s too much for Fox, it must be pretty bad. But from a British perspective, there are two interesting points to note about the contrast between the UK and US approaches to political advertising and network clearance. The first is that political advertising is even allowed on TV. In a country like the US that has free speech enshrined it’s constitution, that's not such a surprise. In the UK, however, we don’t allow political advertising on TV at all, whether by political parties or bodies with political objectives. Should we go down the US route, prioritising free speech over fears of the democratic process being subverted by the political advertiser with the deepest pockets? Recent experience with false advertising on the sides of buses and misuse of personal data on social media is not encouraging. If Brexit happens, and if it means we are freed from the constraints of the Audio Visual Media Services Directive, we may still be better off sticking to our rather British reserve in such matters. The second point is one that shines a light on a problem with our system of advertising regulation. Frankly, CNN refusing to air an ad for Trump would hardly be news, but Fox refusing to do so was remarkable. In the UK, however, all the broadcasters rely on a single body, Clearcast, to give or withhold consent to an ad for broadcast. This, you might think, would make them a regulator, susceptible to the usual legal checks and controls of any other regulator. But you’d be wrong. The last time an advertiser sought judicial review of a Clearcast decision, the High Court decided that it is not a regulator and therefore not subject to Judicial Review. It may walk like a duck; it may quack like a duck; but it is, in fact, not a duck. It was a troubling decision which begs a difficult question: if Clearcast isn’t a regulator, then what is it? Because in practice, it’s inconceivable that we would have a situation where one broadcaster decides to broadcast a particular ad while another refuses to do so. If Clearcast is not a regulator, then different broadcasters should be reaching independent conclusions about what is consistent with the applicable laws and codes, and competing for advertising pounds (or dollars, or roubles) on the basis of their differing answers to that question. Otherwise, if the broadcasters are not competing in this way, Clearcast should be classed as a regulator whose decisions can be challenged through the courts. So maybe the Americans could learn something from us about regulating political broadcast advertising, but we could certainly learn something from them about competition and advertising regulation.